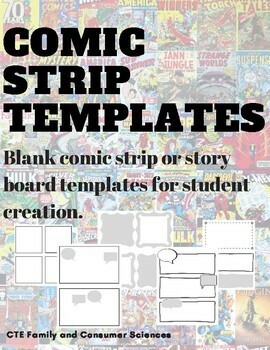 Blank comic strip or story board templates for student creation. 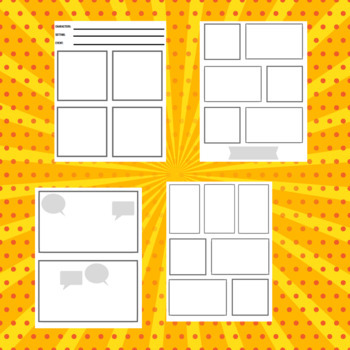 This PDF has 8 template versions that students can use in any combination to create a comic strip, television or magazine story board or other illustration. 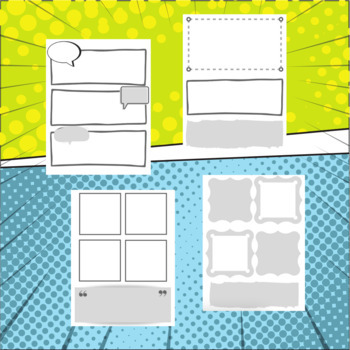 I will print several copies of each version so that students can use multiple of one type or combine them to create their story.